blogger meet indiblogger jifi kota Ahoy! JiFi is here! One fine day blogger Renu Sethi had whatsap'ed me informing about the multi city Kotak Mahindra blogger meet which was to be held on March 23rd. Considering my tight timeline and schedule, I was a bit sceptical about attending the meet. The Sprint Activities at Office were about to end and the workload seemed to have increased a bit. With one QA short at office, it was becoming difficult though I managed my best effort. But I had promised my friend that I would be attending the meet. All went well and I planned to attend the meet for which I had registered for the event. So Kotak Mahindra was launching its new service called Jifi. 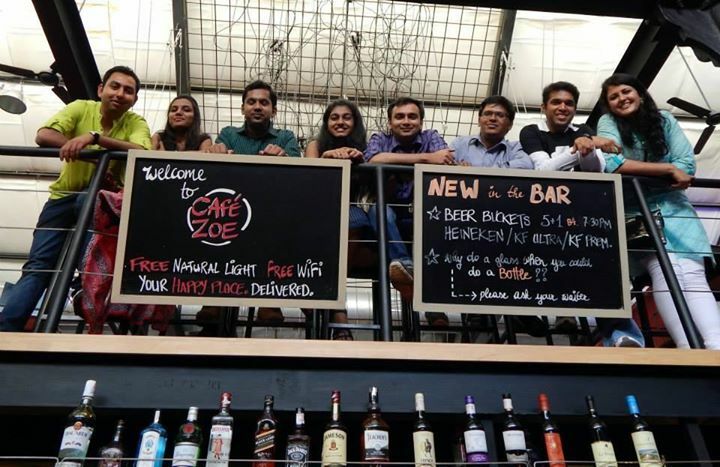 The event was organized at Cafe Zoe in Lower Parel and it was also held at two other locations - New Delhi and Bangalore. It was a fresh Sunday! Ankit, Renu, Monica and me had planned to meet at Andheri Station from where we were supposed to start for Cafe Zoe. On the way, we met Vikrant. Neha was supposed to join us too but she came late. We met few other guys at the Lower Parel railway station. We walked all the way till Cafe Zoe. When we walked inside, we met few other bloggers. Free drinks were provided to us. It was flooded with guys and girls who went there to get their drinks. My gang of friends were seated at the upper floor. We walked upstairs and smiling faces greeted us. We met Dee, Tapo Kumar, Karan, Rohan, Vaisakhi and Fatima there. I had also met many of my other blogger buddies whom I had not met for months. Finally we all got settled down and by then the twitter games had started. The Emcee for the day Anoop Johnson from Indiblogger made sure there was good entertainment. Not to forget Vinit. He was cool too! Indiblogger has been organizing good meets since last few years and this was one too good. 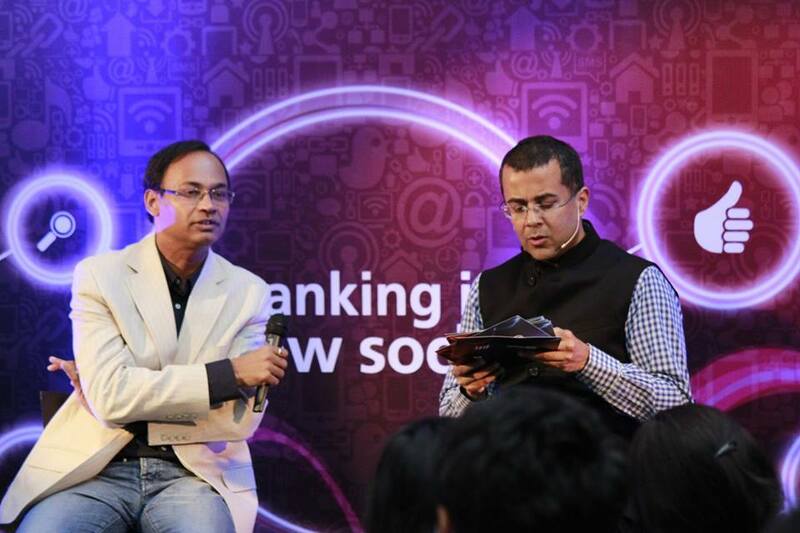 Meeting Mr. Bhagat was something awesome! We finally bid adieu to everyone!Not to forget the free T-shirt given at the end! Thanks Indiblogger! Now I spoken about my experience at the meet. 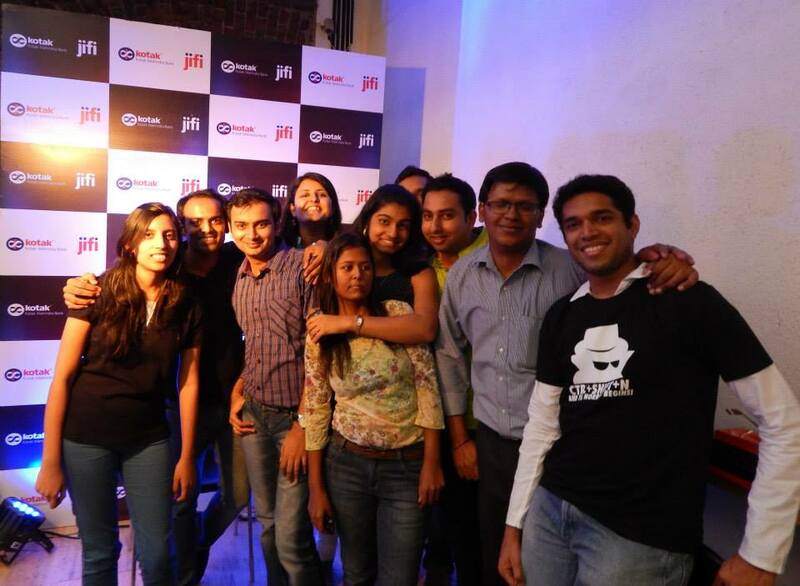 Now its time to give some insight on what #Jifi is ? Jifi is a new innovative and creative concept by Kotak Mahindra which aims at bringing Banking to the next level. 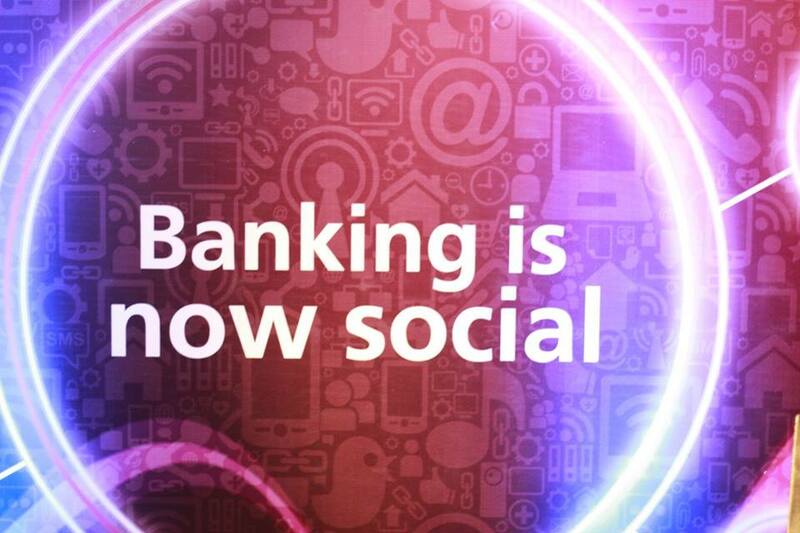 It aims at collaborating social networking and banking! With the new service, you could actually enjoy the services of knowing balances and other services via Twitter. You could query for your balance by querying the Official Kotak handle and they would provide you with the balance through Direct Messages (aka DM). Isn't this amazing? Also a wide variety of features are included as a part of it too like referring friends could fetch your reward point and so on. Why wait? Log on to www.KotakJifi.com and start Jifi'ng now. Open a Jifi account and enjoy the awesome services! Signing off. Enjoy the photographs!